Ylang has only ten spacious suites on two decks – each room has large floor-to-ceiling panoramic doors which open onto an outsized balcony. Room sizes range from 40sqm for the six Signatures Suites and 50-54sqm for the four Regent Suites on the upper deck. These Regent Suites are all individually designed and the front facing ones feature a Jacuzzi on their balcony. Luxury room amenities include tailor-made furnishing, a sofa lounge, a large bathroom with walk-in shower and a bathtub or Jacuzzi (equipped with a special soda water spa treatment system), dressing table and mini bar. What makes Ylang special, is her expansive spa area inclusive of a sauna and steam bathroom. Yoga classes are offered in a dedicated practice room and daily Tai Chi lessons are held on the ship’s terrace deck at sunrise. Private in-room spa treatment or private yoga sessions are available upon request and every booking will receive some complimentary treatments. Apart from the spa theme, Ylang’s itinerary is another particularity. 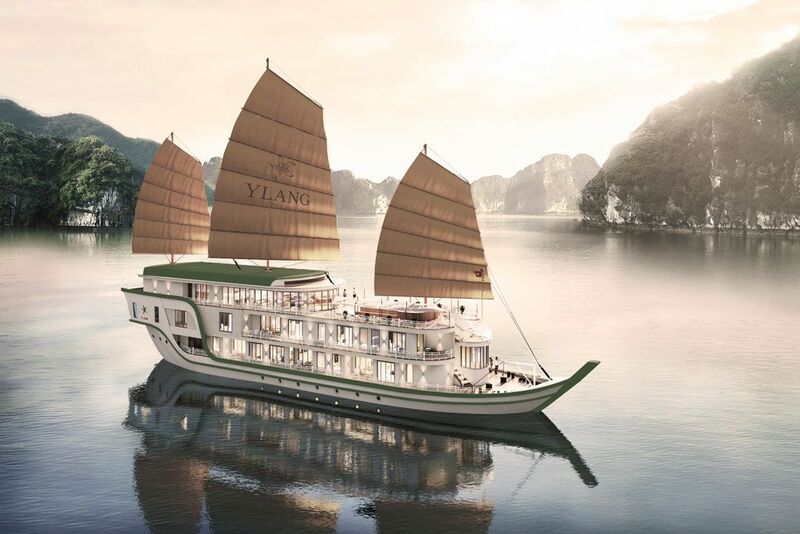 Heritage Line is delighted to be the only cruise line offering a dedicated 3-day/ 2-night’s journey named “Senses of Lan Ha” into remote areas of Lan Ha Bay. Experiences for guests comprehend leisure cycling and hiking on Cat Ba island, a visit of a local floating fishing village and also one-half day “at guests’ own pace and choice” to choose from activities such as swimming, kayaking or wellness offerings onboard.